This could be a big year for we Kinks fans. Ray Davies has a new album coming out in April, his first since 2008’s Working Man’s Café, and if the new one’s anywhere near as good we’re in for a real treat. Even more exciting is the possibility of an actual Kinks reunion. Last year the feuding Davies brothers performed together on stage for the first time in 20 years, and they have both been making noises in recent months about conciliation and some kind of collaboration in 2017. Keep your fingers crossed. With all that in mind it’s time for a list of great Kinks songs. There are eight or nine Kinks songs that most Rock fans know well because they are the only Kinks songs that radio has generally ever played, and they played them to death. “Lola” is a great song, but I’ve heard it so many times that it’s lost its punch. A couple of my selections are from the famous nine but most are not. Do yourself a favor sometime and dive deep into the Kinks catalog when you’re looking for music. You’re practically guaranteed to find at least one or two songs that will delight and amaze you and your friends. Dave Davies famously sliced a razor through the cones in his guitar amp to get that sound, but he might as well have been slicing a big hole in the fabric of popular culture. It was the First Rock Riff, and it opened up a path for all the millions of power chords that were to follow. Dave Davies has always argued that he deserves more credit from a) his brother and b) everyone else for this achievement, and he is absolutely right. Ray Davies loved to skewer the upper class in many songs, but here he assumes the voice of the other end of the economic spectrum, and it’s hard to tell if he’s not making fun of that demographic too. My guess is that the joyful outro with the trombone solo suggests a dig at those who would blissfully ignore the plight of people who live in poverty. Of course he’s taking the piss out of disco, but the track works on the straight-ahead level too, thanks to things the Kinks do so well: churning guitars, brilliant backing vocals, and smirking lyrics: “I’d really like to change the world / And save it from the mess it’s in / I’m too weak, I’m so thin / I’d like to fly but I can’t even swim.” Over the course of a career these guys generated some wildly diverse sounds. 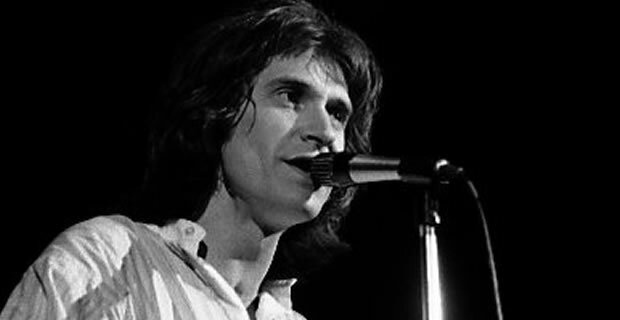 The Kinks don’t really deal in happy and sad, their songs usually include twists that shift the tone to cynicism, or to ambivalence, or to both. This sparkling piece of Pop mastery seems like a celebration of the future’s possibilities, but suddenly it’s not a celebration any more when he watches the clouds “sadly pass me by”. This is a band that constantly keeps your emotions a little off balance, and that’s a wonderful thing. Their second album Kinda Kinks gave us “Tired Of Waiting For You”, “Set Me Free”, and “A Well Respected Man”, but this menacing little Mose Allison-inspired gem revealed a musical sophistication far beyond not just “You Really Got Me”, but also beyond what just about everybody else was doing at the time. The Kinks experienced a big revival in the late 70s/early 80s, and they had some fun dipping into disco and punk styles, but the songwriting style changed too. A lot of the youthful cynicism and unique song structure gave way to some pretty honest reflection in more conventional packages. This beautiful little number always sounded a bit like a confession. An unusual but brilliant song written and sung by Dave Davies, although the way he breaks meter and rhyme scheme in the verse keeps it just shy of absolute Greatness. Audiophile tip: On Mick Avory’s fantastic drum outro, turn it up real loud and you will hear why a drum machine can never improve on a real live human playing real live drums. More beautiful bittersweet ambivalence, call it joyful sadness. Who else sings about a lost love and only describes how the experience made him a better person? An achingly gorgeous bridge shows up and just as quickly disappears. And again, Mick Avory, one of the most underrated drummers in Rock history, really brings it home at the end. In 1965, while The Beatles were still writing songs about girls, 21-year-old Ray Davies delivered this world-weary commentary and its wry observations about depression and growing old. As if emphasizing the contrast, Davies cheekily sneaks in an entire line from the Beatles’ “Yesterday”. And then when you consider the distinct style of the guitar chording and changes, it hits you how far ahead of the curve the Kinks really were back then. There’s no other song by The Kinks or by anybody else that sounds anything like this one, that’s how you know it’s special. A quaint little slice-of-English-life lyric supported by a ranging melody nestled within an intricately crafted song structure that sounds simple and effortless. Each verse consists of one- or two-line sections with their own melodies and harmonies seamlessly patched together like a cozy quilt on a damp, cool day. This is absolute songwriting brilliance.